Henry III, eldest son of King John and Isabella of Angoulême, was born on 1 October 1207 in Winchester. A grandson of Henry II and Eleanor of Aquitaine, he was also the great-great-grandson of Louis VI of France. He succeeded his father, unpopular, at the age of nine, and emerged as an inheritance an anarchic kingdom. 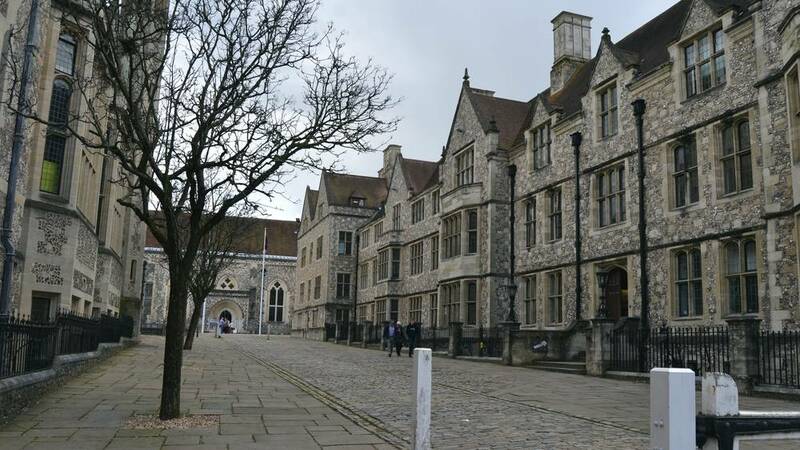 Henry was described as a "cute little knight" when he was crowned at the Gloucester abbey church in front of a circle of close relatives of his mother. The Right Honorable William Marshal, Earl of Pembroke, was appointed Regent with Hubert de Burgh. At the time of the death of King John, London and most of the Channel ports were detained by the French. Following a popular movement, Marshal announced his intention to rule by the terms of Magna Carta, the French invaders were driven out and peace was restored in England. The great William Marshal, having served four generations of Plantagenets with great celerity, died in May 1219, leaving Burgh alone regent. King Henry III had not inherited the strong character of his father, nor was he a Plantagenet in the usual sense of the word. Cultivated, aesthetic, petulant and kind but weak and ineffective, Henry reached his majority at the age of 19 in 1227 and took over the reins of the government of his kingdom, but detained Burgh as his principal advisor. A contemporary told Henry III that "his mind did not seem to rest on a solid foundation, because every accident suddenly put him in passion." He was of medium height and, like his father, was rather plump. He had a drooping left eyelid, a defect he had inherited from his eldest son Edward I, which made him look particularly sinister. 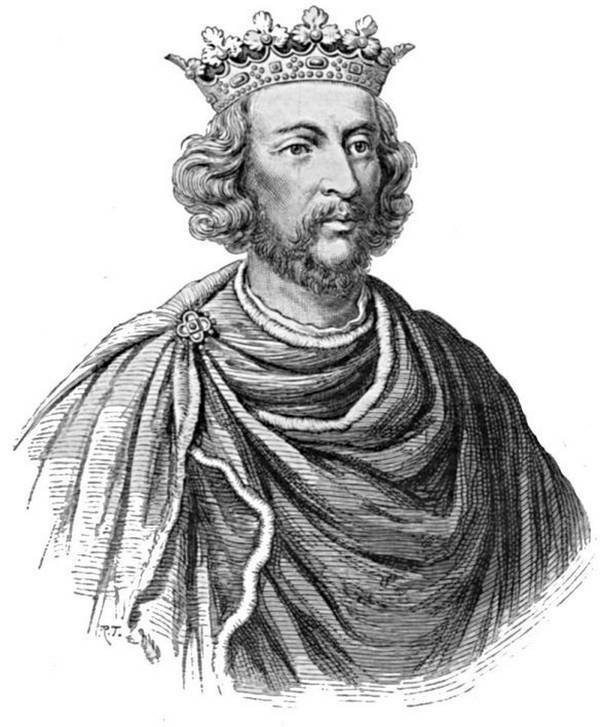 During the first years of his reign, what interested Henry III was to return to the Duchy of Normandy, which had been lost to the French by his father, King John. In 1226, he promised to marry Yolande de Bretagne. An alliance with his father Pierre I, the Duke of Brittany, would allow Henry III to use this land as a point of support for the reconquest of Normandy. Henry's cousin, Blanche, the Queen of France, saw the threat arrive, and succeeded in convincing Pierre de Bretagne to give one of his daughter in marriage to one of his sons, in return. Faced with this reversal Henry then entered into Jean de Ponthieu's house, but as it also threatened Normandy, the French again intervened and to prevent marriage. In 1236, Henry marries Eleanor of Provence, whose sister Margaret had already married Louis IX of France. Henry launched an unsuccessful expedition in Gascony in 1230, a late attempt to trace the ancestral lands of Plantagenet in France. Eleanor was the second daughter of Raymond Berenger, the Count of Provence (1198-1245) and Beatrice of Savoy (1206-1266). Beatrice was the daughter of Tomasso, the Count of Savoy and Margaret of Geneva. Eleanor's older sister, Margaret, was married to the King of France. No physical description of Eleanor has come down to us, but on the basis of her son Edward one could imagine that she was relatively large. Unlike her husband, Eleanor was of a strong character. Legend has it that her attention was drawn to a poem she wrote to her brother, Richard de Cournouailles. In 1254 he launched a military campaign to expel Louis IX from Poitou. Unfortunately for him it was a complete failure. The dismissal of Henry was then a common subject of conversation among the nobles. Henry, who was thirsting for honors abroad, was mortified by his failures. Eleanor's maternal uncle, Pierre de Savoie, received the honor of Richmond and his brother, Boniface, was appointed Archbishop of Canterbury. Henry III was fulminated by these appointments, and he could not have any influence on such acts. The situation was aggravated during the patronage of Henry of his French parents, the Lusignans. They were his half-brothers by the second marriage of his mother with Hugh de Lusignan. But what enervated Henry III was the obtaining of churches on the territory of England by the family of France. Henry made his half-brother, William of Valence, Earl of Pembroke in 1247, while another half-brother, Aymer, became the elected bishop of Winchester. These insane policies associated with the pathological irruption of Henry into the government produced a political revolution. By the provisions of Oxford (1258), a council of fifteen nobles imposed themselves on the king in order to govern the country. The principal nobleman among them was Henry's brother-in-law, Simon de Montfort, Earl of Leicester, born in France, and husband of his sister Eleanor. It was then that Henry asserted himself and forced the re-establishment of his power in 1261. Queen Eleanor, who was very unpopular, was particularly detested by the Londoners. In July 1263 she set out on the Thames but received rotten eggs and vegetables from the bank. The Queen was saved by Thomas Fitz, the mayor of London, and took refuge at the house of the Bishop of London. His son Edward will never forget this episode of his mother's life and later proved to the Londoners that he hated them in return. Facing Simon de Monfort, the king suffered a defeat at the Battle of Lewes on May 14, 1264. On this occasion Simon de Montfort appropriated the control of the government and a first subsequent representative parliament was named in 1265. He selected a council of nine members, and ruled in the name of the king. De Montfort realized the necessity of having the support of the middle classes and in 1264 summoned knights from each county in addition to the members of the churches and the normal nobility. 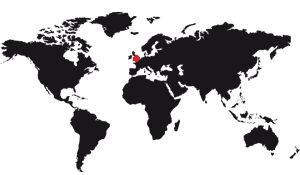 These members assembled formed the beginning of a parliament, and in 1265 the bourgeois of certain large cities were invited to participate in the meetings. Henry and his eldest son Edward, with his brother Richard, Duke of Cornwall, were placed under house arrest. Edward, of a man much more capable than his father, escaped from his watchmen, and took up arms to support Henry's cause. Edward conquered de Montfort at the battle of Evesham in 1265. During the battle Henry was thrown to the ground and he would have been killed if he had not lifted his visor and shouted to his assailant: "Save me, save me , I'm Henry of Winchester! ". De Montfort, the founder of the Parliament, was killed in action. His body was cut to pieces and his head sent to Wigmore Castle. His remains that could be found had been buried under the altar of the Abbey of Evesham. Edward, although not fond of Montfort, eventually adopted some of his ideas. 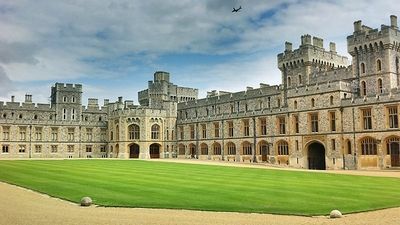 According to architecture historian John Goodall, Henry was "the most obsessive patron of art and architecture who ever occupied the throne of England." 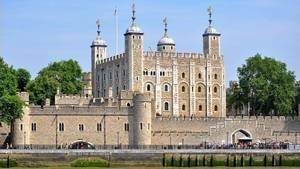 He rebuilt the royal palace at Westminster, his favorite home, rebuilding both the palace and Westminster Abbey at a cost of nearly £ 55,000. 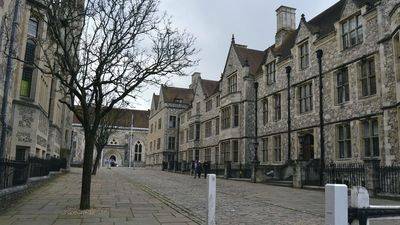 Henry spent about £ 58,000 for his royal castles, carrying out important works at the Tower of London, Lincoln and Dover and adding the Great Hall to Winchester Castle. 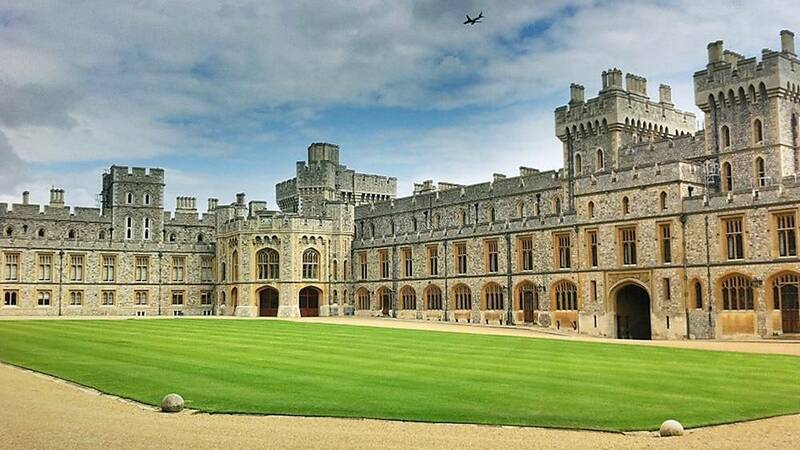 In Windsor, an enormous renovation of the castle produced a luxurious palace complex, the style and detail of which inspired many subsequent constructions in England and Wales. Henry venerated the Saxon king, St Edward the Confessor, who had been canonized in 1161. He even had a wall painting in his room in his effigy. 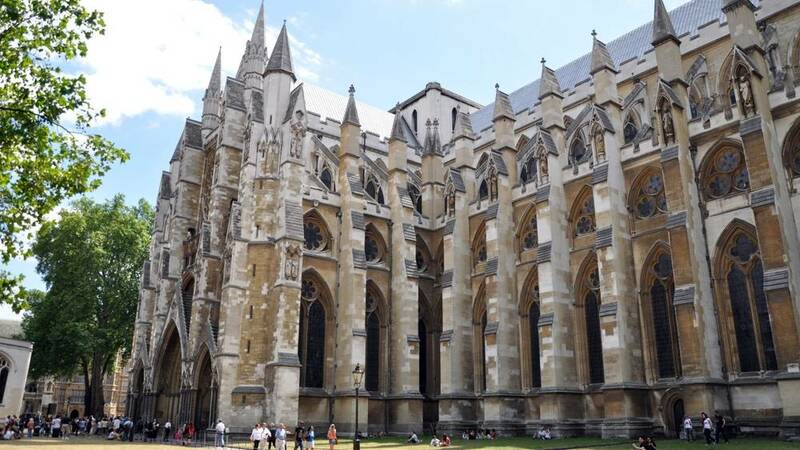 He made a mania for the construction of Westminster Abbey, first built by King Edward but was to be rebuilt. 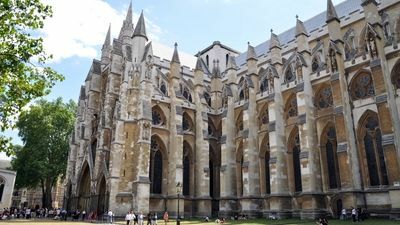 In 1269, the new abbey was consecrated, and the body of Edward the confessor found there a rich and imposing sanctuary. Henry III himself took part in the transport of the confessor's coffin to his new place of rest. Henry III died three years later in his palace at Westminster on November 16, 1272, aged sixty-five. He was the first of the Plantagenets to be buried in the abbey, an abbey which later became the mausoleum of the English monarchs. His tomb, made by Cosmati marblers, is in the same place as Edward the Confessor. His body was temporarily placed in the tomb of Edward the Confessor during the construction of his own sarcophagus. Henry was replaced by his eldest son, Edward I.
Eleanor of Provence stayed in England after the death of her husband, raising her grandchildren, the children of Edward, Henry, Eleanor and Jean, the son of her daughter, Beatrice. When her grandson Henry died in spite of her care, she mourned her death and founded the priory of Guildford which she dedicated to her memory. His widowhood lasted nineteen years. The Queen Dowager finally entered a convent with her granddaughter Marie who died in the convent of Amesbury in 1291. Her son, Edward, erected a tomb in his memory.